You will be surprised at how simple this complex block goes together using the Nifty Notions® Cut for the Cure™ rulers. An old favorite with a new technique...sure to be a classic! 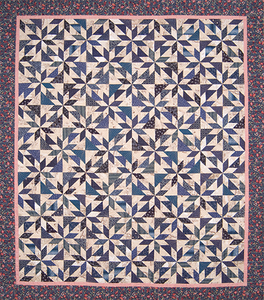 Finished size: 71" x 83"
This series of patterns REQUIRES you use specialty rulers. 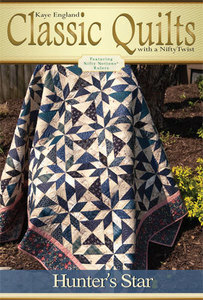 Each pattern in the Classic Quilts series is executed quickly using the specified ruler, offering precision cutting to speed your work and results. The following are SUGGESTED rulers for your use.